Last night I sat down and browsed around the internet to see if I could find any decent guides for making custom flags. To my surprise I had no luck in finding any, so I decided to write one myself. Step 1: Planning out the flag.First thing you need to do is have a plan as to the shape of flag you want to use and the design. 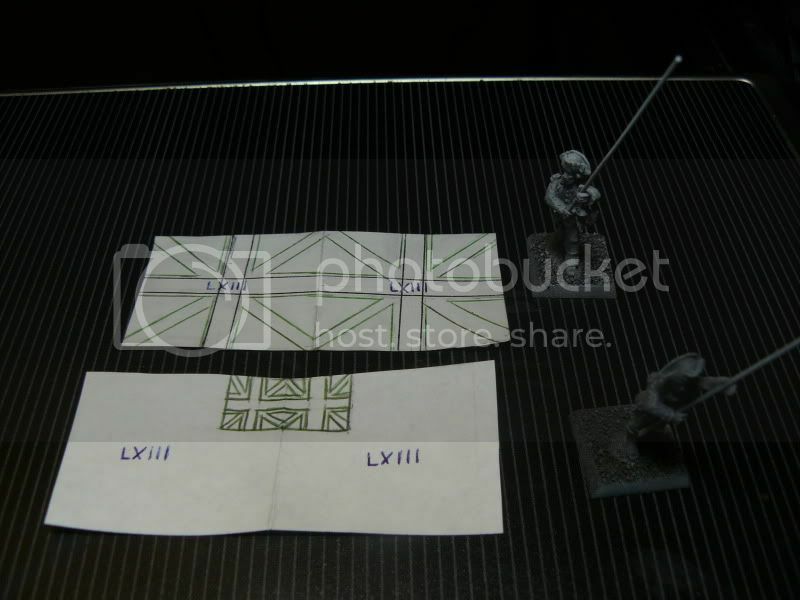 For this project I needed British flags for a Colonial Line Infantry regiment by Foundry so approximately 28mm scale. I then determined how big I wanted to make the flags and proceeded to cut them out of plain white paper, keeping in mind that I would be folding these over around the flag pole. 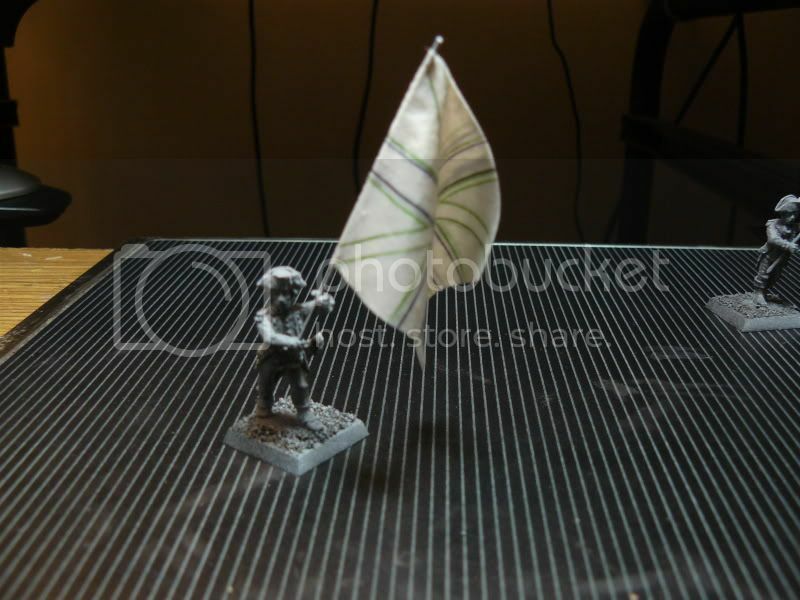 Before I go on with my blabbering, there are alternatives to scratch building the flag. For you more tech savvy people (which compared to me is probably everyone), you can always design it in photoshop and print it out. There are also plenty of websites that offer resources for flags and flag designs. But because photoshop is like a foreign language to me and since I like making things hard on myself, I scratch built mine. 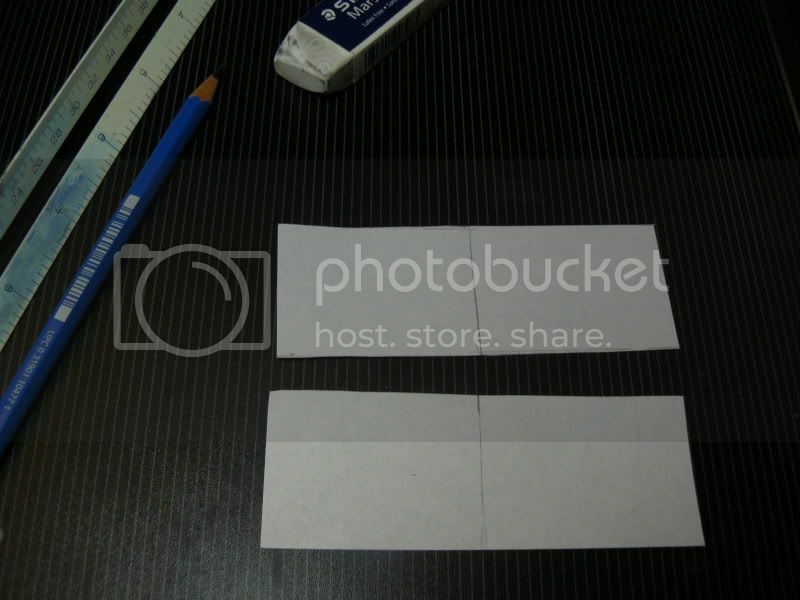 Step 2: Drawing out the design on the flag itself.Next I sketch out the design for what I want on the flag. For this project the first is the British Union Flag and the second is the regimental flag of the 63rd Regiment of Foot, The West Suffolk, or otherwise known as "The Bloodsuckers." This does not need to be perfect. All it is is an outline to make the painting easier. Don't worry about marking it up if it will help, it will all be covered with paint anyways. 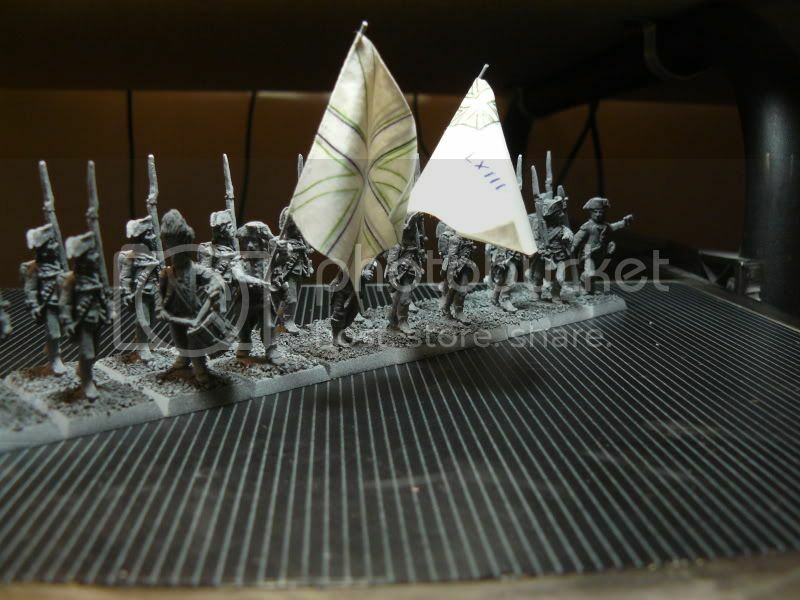 Another foot note to add here is that I assemble, clean and prime the figures before applying these flags since they will not be primed. Step 3: MaterialsWith the flags now ready to go I can start on trying to make them look like actual flags and not like flat pieces of paper. First thing is a list of what I use. 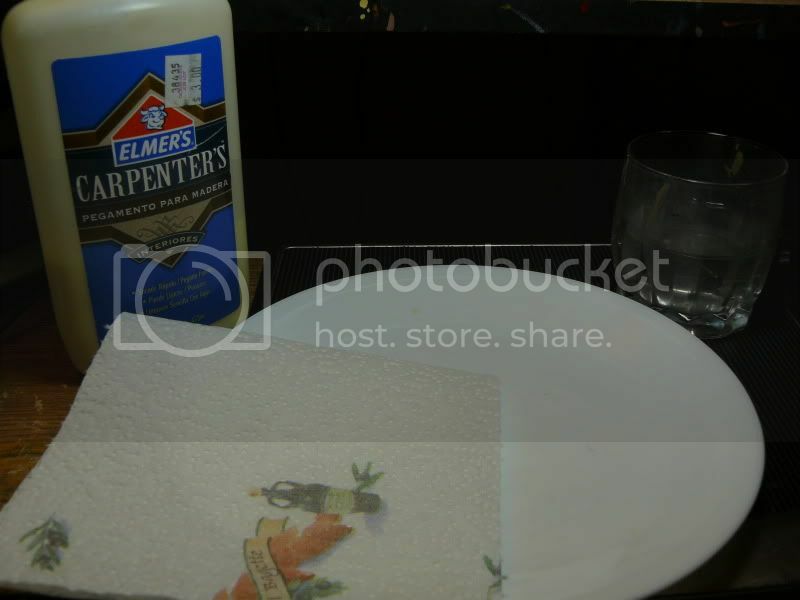 Wood Glue (I imagine that the white school glue or PVA glue would work just as well. The reason I like this wood glue is that it dries fairly quickly. If you are using a premade flag then you may want to substitute this somewhat yellow drying wood glue for the clear drying PVA glue so that it doesn't stain the colors. 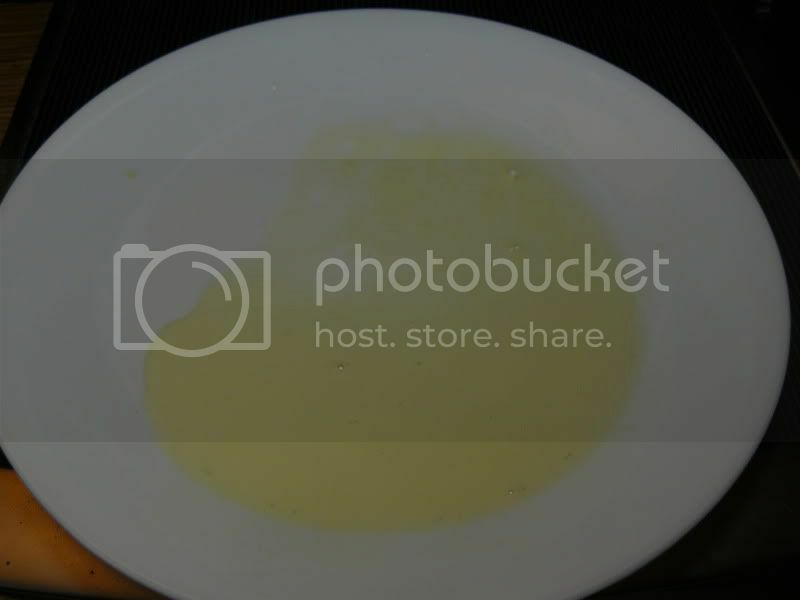 )WaterPlate (I use a old dinner plate but a shallow bowl, plastic plate or anything of the sort will do. It's just for mixing the glue in with the water. )Paper Towels (I probably make this more complicated and messy than it should be, but if you do it my way, your going to need some of these!) Step 4: Mixing the water in with the glue.I don't really have a set ratio as to how much to dilute the glue, but just enough to get it to a fairly thin, milky consistency. 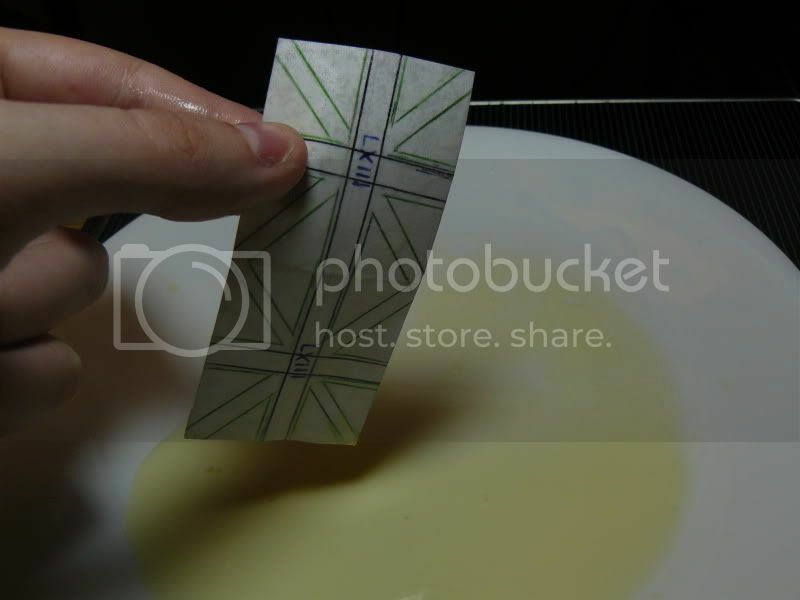 Step 5: Dipping the flag.Take your flag and completely dip it in the glue and water mixture. Make sure you get both sides. Remove it and let the excess glue drip off, also run it between your fingers. You want to make sure you get as much of the glue off as possible to reduce drying time by as much as possible as well as the prevent any of the glue from getting on the mini once you attach the flag. Step 6: Attaching and forming the flag.Next up go ahead and fold the flag onto the pole. Let it set for a few seconds and then you can slowly begin folding it. The biggest issue here is keeping the flag from sliding down the pole while drying so you may have to gently hold it in place for a couple of minutes until the glue sets. Make sure you position the flag in whatever direction you want it pointing. 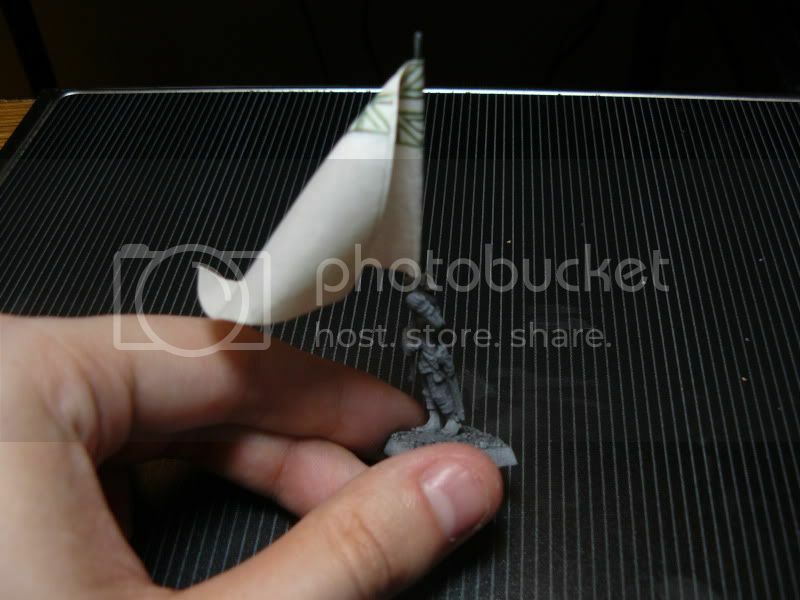 After a minute or so the glue should start hardening up just enough to begin folding the flag in the position you want it. There are a couple of things to keep in mind. First, is the flag bearer standing, walking, running? This will have an impact on how animated the flag is as well as which direction it is waving in. Second, even if the bearer is standing or whatever other position he/she may be in, do you want to incorporate the effect of a light/strong wind? This again will have an impact on how animated the flag is and the direction in which it is waving.For my purpose, the regiment seems to be at a fairly slow, but steady advance. I picture them as having just been given the order to advance, therefore the bearers having just unfolded the two flags as the unit moves out. Therefore most of the sway would not be coming from any wind there may be blowing, or even the force of them walking, but from the fact that they have just been unfolded and have yet to "fall into place" so to speak. At this point I am fairly satisfied and set them down to dry completely.Having sketched out the design, they will now be much easier to paint even though they are folded. By painting the flags after they are in place, I can more accurately paint subtle highlights on the raised areas and shade the deeper folds. Overall, at least in my opinion, it is a fairly easy method to make some pretty convincing flags.If you made it this far, thanks for reading! Hopefully someone can find some use out of this. Very nice! 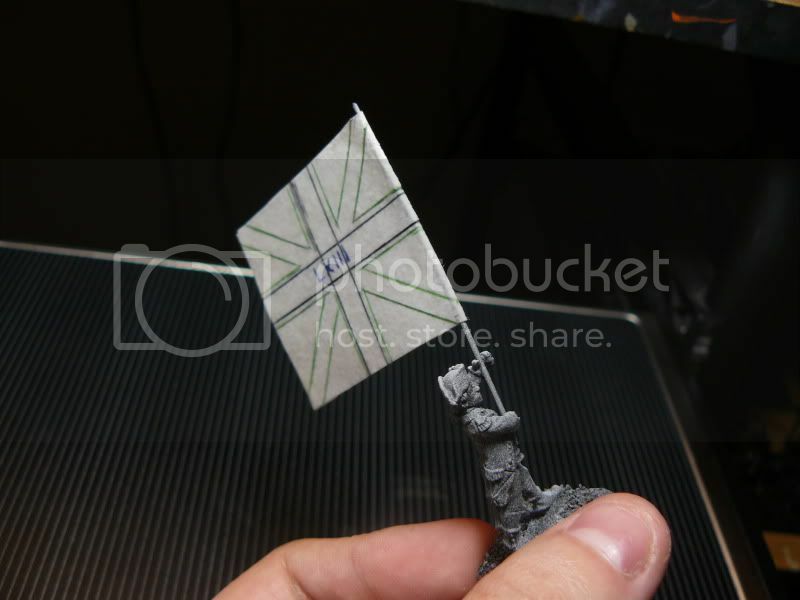 I like the way how you can "sculpt" the shape of the flag. I was thinking about making some bullet holes in it, so does it look kind of used. Thanks a lot!